Watch as your love life springs back into action! The fiery passion of the heartwarming Sun's entry into Aries gets the spring off to an enthusiastic start. We're ready for action, and we are willing to take risks to make new connections or to rekindle the spark of an ongoing relationship. Yet there may be some resistance to exposing our softer sides until amorous Venus shifts into dreamy Pisces on April 5, a transit that dissolves intellectual boundaries and a time when reason gives way to romantic urges that have no limits. It's easy to fall in love when defenses are down, especially as Venus joins Pisces' imaginative planet Neptune on April 11. Although fantasy can overcome reality then, the love planet's move into independent Aries on May 2 will break through emotional illusions. After some crazy times on May 14-15, partnerships get a positive push when active Mars regains forward motion on May 19. Alliances that have been stuck on old issues and feelings of isolation will be easier to overcome in the weeks ahead. Just remember to communicate carefully when Mercury the messenger is retrograde from June 7-30, increasing the chances for misunderstandings. Look up your sign below to see what's in store for you this spring. You can also get your personal Big Picture Love Forecast to look at your love life the entire year ahead! Sure, the Sun blasts into your energetic sign on March 20 this year, which is bound to turn up the heat in relationships. But the harder you push for what you want, the further you might feel from your goals. The cause is Mars, your primarily passionate ruling planet, whose jets have been cooled since entering accommodating Libra last December. It's been nice to be nicer, but Mars slipped into reverse on March 1, which can put even more obstacles on the road to romance. This period, ending May 19, is useful for working out kinks with a current partner, but it can be more difficult for making progress with someone new. Fortunately, you should become more appealing to others when alluring Venus enters Aries on May 2. A tendency to let your heart leap ahead of your mind, though, could put you in unsettling situations around May 14-15. But getting through any rough spots then will deepen understanding of your needs and set you up for a smoother ride (and maybe someone new) when Mars corrects its course a week later. Sweet Venus, your lovable ruling planet, enters magical Pisces and your 11th House of Groups on April 2. Shared interests and ideals are a great starting point for a potential relationship. Friendship could heat up with this transit, too, turning an intellectual attraction into an emotional one. The Sun's entry into your sensual sign on April 19 should boost your confidence, especially if you're physically active. Still, if you give too much away to make someone else happy or fail to express your needs, Venus' shift into independent Aries on May 2 could rattle a relationship. Steam starts rising with the Scorpio Full Moon in your 7th House of Partners on May 14, while Venus is entering volatile territory. These transits can be good for clearing the air if you have the will to address delicate issues. Hunkering down and resisting change is the least effective way to react, so be flexible and open-minded until the storm passes. You will be more appealing when Venus enters Taurus on May 28, although reality may force a tough romantic decision when the love planet opposes serious Saturn on June 12. Conversations flow easily from March 22-27, which can help you to connect with someone new or iron out kinks in a current relationship. Falling for someone in a position of authority at work is deliciously tempting when amorous Venus joins dreamy Neptune in your 10th House of Career on April 11. But if you lose sight of reality, it's going to come back very intensely on April 14-16, when your key planet, Mercury, stirs up surprises and emotionally charged discussions. Quiet time grows more appealing when the Sun and Mercury enter placid Taurus and your private 12th House on April 19 and April 23. Getting attention is more difficult, but what you do behind closed doors is more important to your love life. You can refresh yourself with a physical and mental makeover when the Sun enters your sign on May 20. It's a great time to put yourself out there and take the initiative in relationships. Just communicate extra carefully, avoid major commitments, and tie up loose ends from June 7-30, while chatty Mercury is moving retrograde (backwards). Taking charge in personal matters is called for when the Sun blasts into your 10th House of Control on March 20. Be bolder in connecting with new people or initiating changes in a current relationship to build your confidence and increase your desirability. Caution is recommended on March 29, though, when lovable Venus runs into barriers and delays from stodgy Saturn. The rambunctious Aries New Moon the following day might put you in a less than cooperative mood, but chilling is wiser than forcing a potentially explosive issue. There's romance in the air when Venus joins inspiring Neptune on April 11. Travel, education and a person from a faraway place are possible sources of divine pleasure. Take a break from your usual routine to carve out some time and space to taste this emotional magic. Cuddling in the corners and meeting with people in out of the way places makes sense when the Sun enters your secretive 12th House on May 20. Keeping things confidential and avoiding gossip are keys to earning and maintaining someone's trust. The spring begins with the fiery Aries Sun lighting up your 9th House of Higher Mind and Faraway Places, which triggers romance when you get out of town or find intellectual stimulation. If you're already in a relationship, exploring unfamiliar territory together is a way to restore passion. While you appreciate honesty, it's wise to be discriminating about what you say when the Sun joins rebellious Uranus on April 2 and clashes with potent Pluto on April 3. Power struggles and impatience can trigger emotional explosions that unsettle partnerships. Excitement rises again when amorous Venus enters Aries on May 2, motivating you to take more chances in pursuit of love. You may be restless and willing to engage in risky behavior. If you cross the threshold of safety and reason, the consequences are likely to appear around May 14-15. But you can regain your social sense of balance and your sense of humor on May 20. Friends and groups become sources of support and stimulation that help you find fun and pleasure in less stressful situations. Relationships are likely to heat up with the Sun blasting into fiery Aries and your 8th House of Intimacy on March 20. You could feel like you're being pushed by an impatient person, but the point is for you to pick up the pace and push partnerships in a new direction. If you're single and looking, you may have to take some chances and bring more passion to your pursuit of love. If you have a partner, turn the heat of conflict (or the irritation of boredom) into motivation to take this union in a fresh direction. Standing still is probably the least desirable way to act now. You should feel more comfortable when the Sun shifts into stabilizing Taurus on April 19, followed there by your key planet Mercury on April 23. These grounding forces increase the confidence needed to seek more rewarding ways to be with someone. Travel is one activity to broaden your horizons and invite romance into your life. Mental Mercury's retrograde period of June 7-30 complicates communications, requiring more sensitivity in what you say and how you listen and respond to others. Your relationship life can be like a high-strung Ferrari that runs great when conditions are ideal, but breaks down with the slightest hiccup. The source of this image is passionate Mars, which has been in your sign since last December. On March 1, this tentative warrior turned retrograde and will continue to backpedal in Libra until May 19. The good news is that it keeps your relationship matters cooking. The bad news is that you may have difficulty getting new partnerships off the ground, or you can stay entangled in the old personal issues you've been struggling with for some time. It's helpful, then, to think of making a fresh start in how you pursue romance. There are old ideas and methods that could be holding you back, so think about altering your approach, attitude and expectations. On May 20, the Sun flits into sister Air sign Gemini, which will lighten the atmosphere, kick flirting up to a higher level, and -- along with Mars getting back into gear -- help you turn on the charm with even greater effectiveness. You may have been biding your time, dealing with frustration or accepting less than full satisfaction in relationships since your passionate ruling planet Mars entered indecisive Libra and your out-of-the-way 12th House of Privacy last December. Your reasonability and patience, though, should finally be rewarded with a series of romantically favorable patterns that begin on April 19. The Sun enters sensual Taurus and your 7th House of Partners then, inviting greater ease in a current union or helping you to attract an undemanding individual. If you feel boxed in with the emotionally intense Scorpio Full Moon on May 14, fireworks could explode in the days ahead. Mars finally shifts out of reverse on May 19, freeing up plenty of energy to start a partnership or take your current one in a new direction. Amorous Venus hits your 7th House of Partners on May 28, making you even more appealing to others. Then, sweet words and gentle thoughts come with communicative Mercury's move into tender Cancer on June 17, allowing you to discuss delicate issues with care. Spring is a time to get sassy and playful as the fiery Aries Sun starts the season on March 20 in your 5th House of Romance, Fun and Games. Taking chances in matters of the heart is a way to express your restless emotions, but it could backfire between March 29 and April 2 if you don't temper enthusiasm with a bit of caution. Amorous Venus' move into super sensitive Pisces on April 5 is another signal that being gentle and patient could be your keys to relationship success. 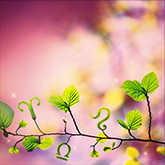 Fortunately, the love planet's favorable alignment with your guy Jupiter on April 17 could make you extra lucky in love. Another boost to your personal life comes when passionate Mars turns forward in your 11th House of Groups on May 19. Friends, colleagues and organizations increase your opportunities for making connections and having fun. The following day the Sun enters Gemini, casting love and light into your 7th House of Partners. This opens more chances for getting attention and attracting mentally stimulating people. Tempering your judgment about yourself and others is the secret on how to benefit from this month long transit. You like to take charge of everything in your life, including relationships. Spring begins with the Aries Sun in your 10th House of Responsibility, which should increase your drive to run the show. But it's wise to go easy and not be impatient at first. Amorous Venus runs into your planet Saturn on March 29, followed by tense solar connections with explosive Uranus on April 2 and provocative Pluto on April 3. These could turn your personal life upside down in a hurry, which might not be your intention. Your personal life gets more pleasurable when the Sun enters sensual Taurus and your 5th House of Romance on April 20. This is a great time to express yourself in a down-to-earth way that will garner attention and affection. Keep things simple instead of trying too hard to make an impression. Pacing yourself in seeking love is meant to teach you how to enjoy every moment instead of stressing out in pursuit of a goal. Your life becomes more joyful and you become more desirable when you take it easy. The Sun blasts into impulsive Aries and your 3rd House of Nearby Places on March 20, and joins your electrifying ruling planet Uranus there on April 2 to trigger spontaneous conversations and make connections close to home. But if there have been any secrets in relationships, they're likely to be exposed during this potentially volatile period. On the other hand, if you feel stuck in your current situation, there's a good chance of experiencing some romantic excitement when amorous Venus joins surprising Uranus on May 15. You get a fresh wave of support for joyous relationships on May 20, when the Sun enters chatty Gemini and your 5th House of Romance. This yummy transit starts 30 days of delight and play, so avoid overloading yourself with work to take advantage of it. You will find it easier to get attention and to express your feelings in a light-hearted way. Don't let heavy thinking or overly strong opinions take the fun out of connections that can warm your heart. Power struggles are possible around June 12-14, especially if you get locked into an inflexible position. It's appropriate to be a bit more assertive when spring begins on March 20. The Sun blasts into bold Aries then, rewarding you for standing up to yourself as long as you can do it while keeping your cool. 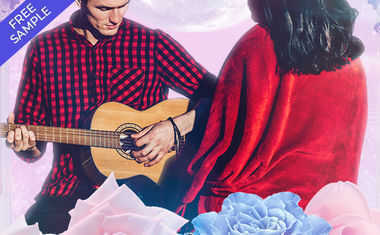 You get the benefit of feeling more desirable and, in fact, becoming even more appealing to others when magnetic Venus enters your sign on April 5. Romantic fantasies start to flow, especially when Venus joins your dreamy ruling planet Neptune on April 11. Just be aware that what you're seeing and sensing might be more of an illusion than reality. Take inspiration from it, but there's work needed to solidify what you're experiencing. offering tender conversations that lead to deeper emotional understanding.